Bancha ("common tea") is a Japanese green tea of somehow lower grade. It is harvested from the second flush of Sencha between summer and autumn. Bancha is not very popular in famous tea production areas cause teas which can achieve higher prices are grown. Still, in rural mountain areas of Japan Bancha is still popular everyday drink. 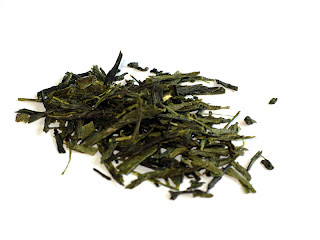 Bancha has milder flavour and the lowest level of caffeine among any standard Japanese green tea. Like any green tea it is rich in antioxidants. How to brew it? Heat the water at temperature of around 80°C. Pour the water on the Bancha (1 teaspoon per cup) and let it steep for 1 to 2 minutes.